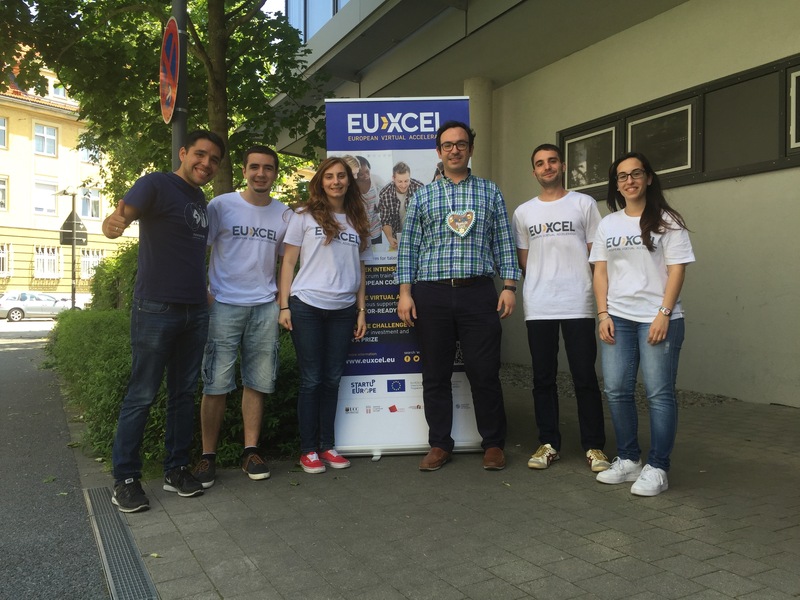 Spanish assistants to the first ‘Start-up scrum’ of the EU-XCEL project, held from the 1st to the 5th of June, 2015 in Munich (Germany). Five entrepreneurs aged between 22 and 27 years and a professor from the DSIE research group (Universidad Politécnica de Cartagena) went to the Center of Entrepreneurship in Munich (SCE) to receive specific training in entrepreneurship and form an international ‘Start-up ‘ with 37 other selected entrepreneurs from across Europe. After this training week, the teams have another 14 weeks of virtual work to develop their idea and business model, and compete in the final in November 2015″.